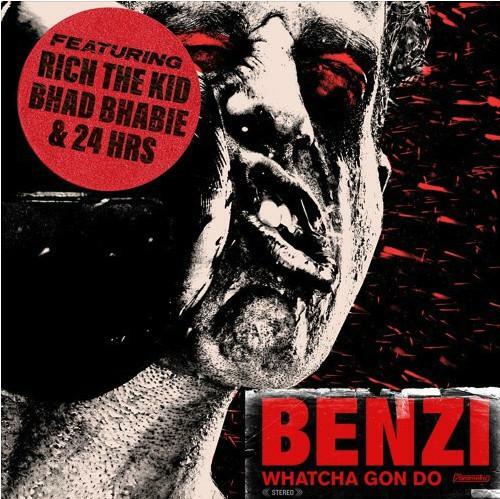 Rich The Kid, Bhad Bhabie & 24hrs Link Up On "Whatcha Gon Do"
Home>New Songs>Benzi Songs> Rich The Kid, Bhad Bhabie & 24hrs Link Up On "Whatcha Gon Do"
Benzi recruits Rich The Kid, Bhad Bhabie, and 24 Hrs. for his latest record. Benzi has come through with some new heat just in time for the weekend. With the help of Rich The Kid, Bhad Bhabie, and 24hrs, he drops off his latest banger, "Whatcha Gon Do." The song serves as Benzi's official debut single after working for years as a DJ. The song got a big promotional shout out on Instagram yesterday by DJ Pauly D before it dropped on streaming platforms. All of the artists on the track have been grinding heavily lately. Rich The Kid is fresh off of the release of his album, The World Is Yours 2 which arrived in late March. The rapper just released the video for the project's title track yesterday. As for Bhad Bhabie, she dropped off a few tracks this year and seems to be gearing up for another big year ahead of her. 24hrs has been dropping off a ton of music. In the past year, he's released four projects including February's Valentino Twenty. Ski Mask The Slump God Joins Lamb$ On "Break Ya Back"
SONGS Rich The Kid, Bhad Bhabie & 24hrs Link Up On "Whatcha Gon Do"